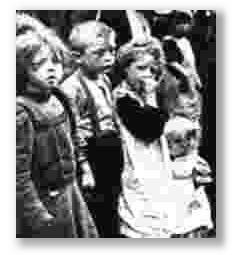 There is no more shameful stain on British history than the sickening treatment of the nation’s poor worker-children during the Industrial Revolution. Entire generations of youngsters lost their precious childhood as they were sacrificed to the Moloch of the Mills – suffering and often dying because of the indifference of Government, the greed of mill-owners, the sadistic cruelty of factory overseers and the acquiesence of parents. The long quotation later in this section, by a mill worker turned journalist and novelist, encapsulates the horror of it all. He was writing nearly a century after some of the worst excesses. We, another century down the line, in an age which practically deifies children,find it almost impossible to comprehend such a cynical conspiracy against that section of society least able to defend itself. Make no mistake, it was a conspiracy. It would have been the work of a moment for the Government to outlaw child labour, or to halt the worst excesses of it. But instead, for too long they turned a blind eye, all too happy to believe the claptrap they were fed by the manufacturers about mill conditions being idyllic. So the millowners were allowed to carry on growing rich and fat at the expense of lost innocence, rationalising their exploitation of toddlers as young as four and five by claiming that industry, and therefore the country, could not survive without it. If the manufacturers were bad, their enforcers were worse. At best callous, at worst frighteningly sadistic, the spinning-room overseer had the task of maintaining production. He did it by instilling fear and inflicting pain – children were beaten simply to keep them awake towards the end of their 14 or 15-hour day. What man could live with himself knowing that he had to beat and frequently maim babies for a living? And then there were the parents. Over the decades, many apologists have claimed that parents had little choice in the matter: They either allowed their children to work in the mill, or the family starved. But this is over-simplification. The pittance earned by even three or four children was not enough to keep a family – there had to be an adult breadwinner and the money the youngsters brought home too often found its way via the father into the tavern-keeper’s pocket. And anyway, what right-minded man or woman would want to bring children into such a world? 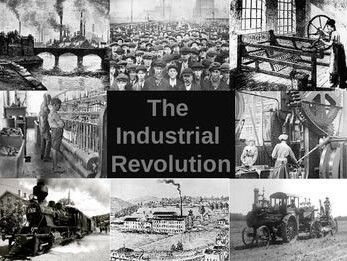 Exploitation of youngsters began in the very first days of the industrial revolution and it then took the form of the wholesale “deportation” of what were known as “parish” children. Thousands of boys and girls, their only “crime” being that they were workhouse inmates, were uprooted from London and other big cities to become the virtual slaves of Northern millowners.